Government officials are trying to keep the carp out of Lake Michigan. 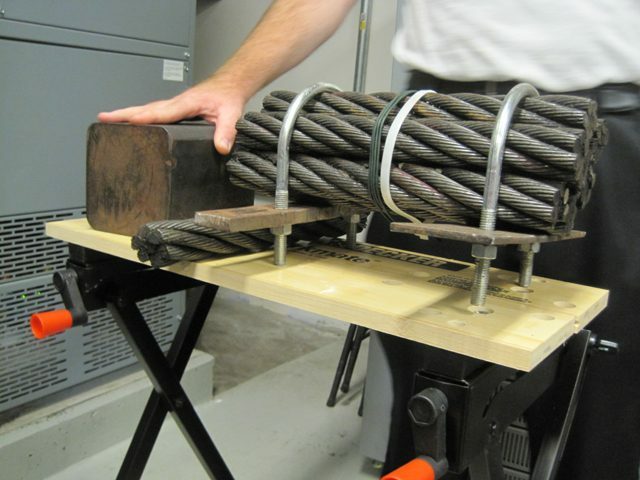 One of the main methods they’re using is electrical shock. There’s a man-made canal near Chicago that connects the Mississippi River system with Lake Michigan. And on that canal is a system of three underwater electric barriers built by the Army Corps of Engineers. 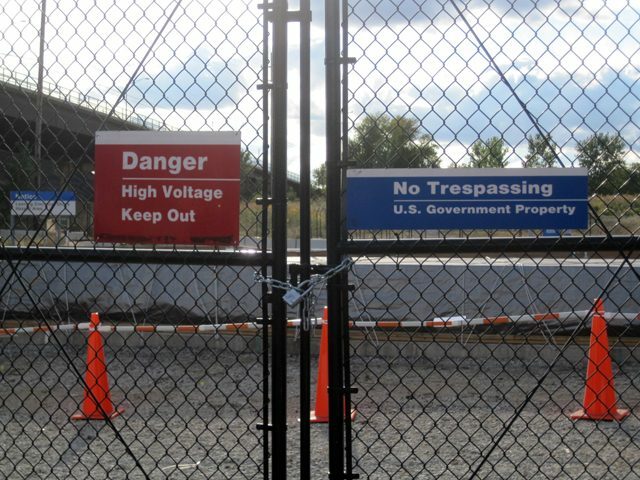 I recently had a chance to visit the electric barriers. You can’t see the actual barriers, because the electrodes are underwater. But the Army Corps invited me into the control room of Barrier 2B. It looks about like you’d guess – lots of computers and gauges. 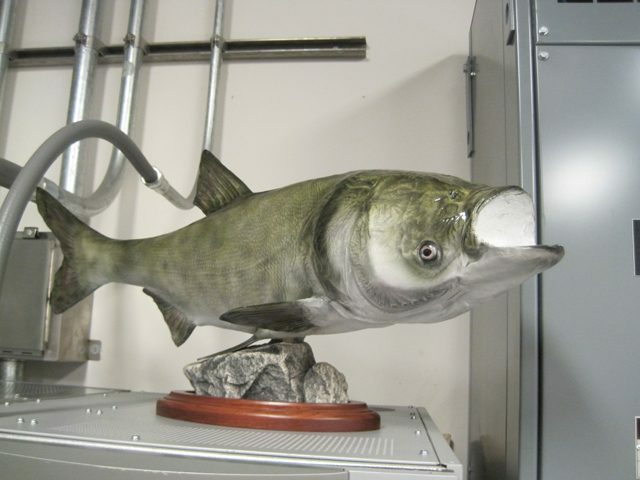 There are a couple large mounted Asian Carp on the shelves. Chuck Shea is a project manager with the Army Corps. He says the barriers repel fish by emitting very rapid electric pulses into the water… which, if you’re a fish, is not a whole lot of fun. The electric bill for this barrier runs between $40,000 and $60,000 a month. Next week, the Corps is planning to crank up the juice on two of those barriers. They’ll be increasing the voltage, the pulse rate and how long those pulses last. 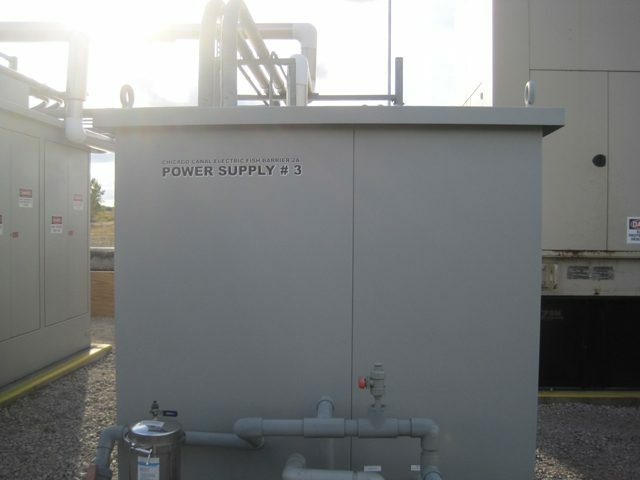 They’re doing this to try to keep smaller Asian carp from getting through the electrical field. So… smaller fish are less likely to be bothered by the electrical shock… and theoretically… they could get through the barrier more easily than big fish. The Corps said in a press release that they haven’t detected any small Asian carp near the barriers, but they want to turn up the settings to try to stop those smaller fish, just in case. Chuck Shea says they’ve tested the higher settings on fish as small as two inches long. So… the question is… whether really tiny Asian carp could get through the barriers even at the higher settings. Jim Garvey is a fish ecologist at Southern Illinois University. The other big question is whether there are already live Asian carp in Lake Michigan. 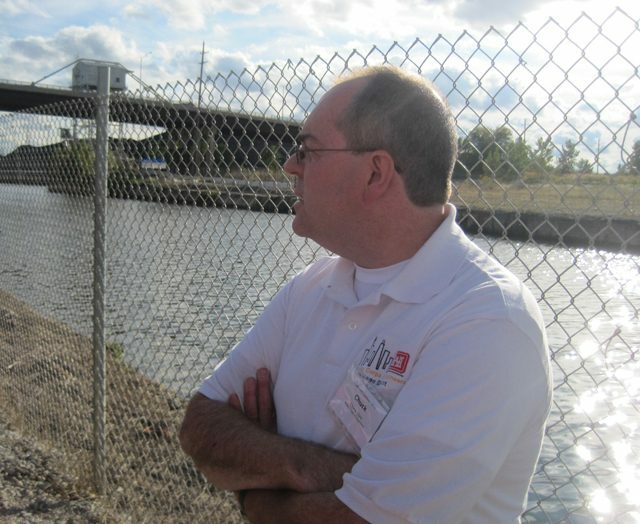 The Army Corps and scientists from the University of Notre Dame have repeatedly found DNA samples from silver and bighead carp above the electric barriers in the Chicago waterway. David Lodge is a biologist at Notre Dame. He says these findings indicate the presence of carp near and possibly in Lake Michigan. He says the presence of DNA does not necessarily mean there’s a live carp nearby. But he says it’s the most likely explanation. The electric barriers on the Chicago canal system are getting a lot of attention – and money right now. But the Army Corps is also looking at 18 other possible waterways that Asian carp might use to get into the Lakes.